I am hobbyist DIY / woodworker. It all started with a Pro5 sander. I bought the sander, then I needed sandpaper. The sandpaper assortment 40 grit to 280 grit followed. The initial project went well, but a 2mm finish sander doesn't do well removing existing paint or finish from plywood or prefinished furniture. The $50 voucher was used to buy a 5mm stroke ETS EC150/5 sander. Oh, what a slippery green slope I am on! Project 1: To remove multiple layers of peeling paint from a vertical plywood exterior wall. 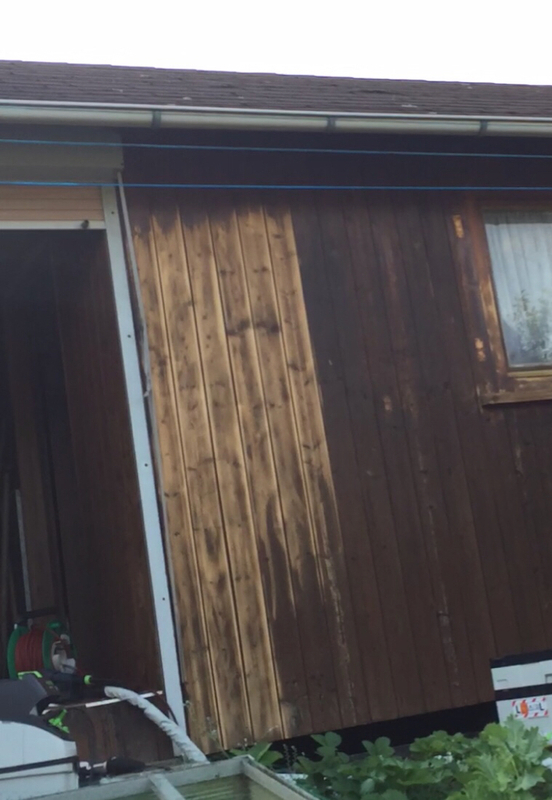 Then use the Pro5 as the finish sander, before repainting with exterior paint. Project 2: To refinish a dresser by removing the existing finish with the sander. Then manually sand the profiles, and use the Pro5 as the finish sander. I didn't get a RO150, as it was a bit big and unwieldy for vertical applications. What grit recommendations would you recommend, given I will be using a 5mm stroke sander? It is not as aggressive as the gear driven Rotex, but it is a brushless 5mm stroke. 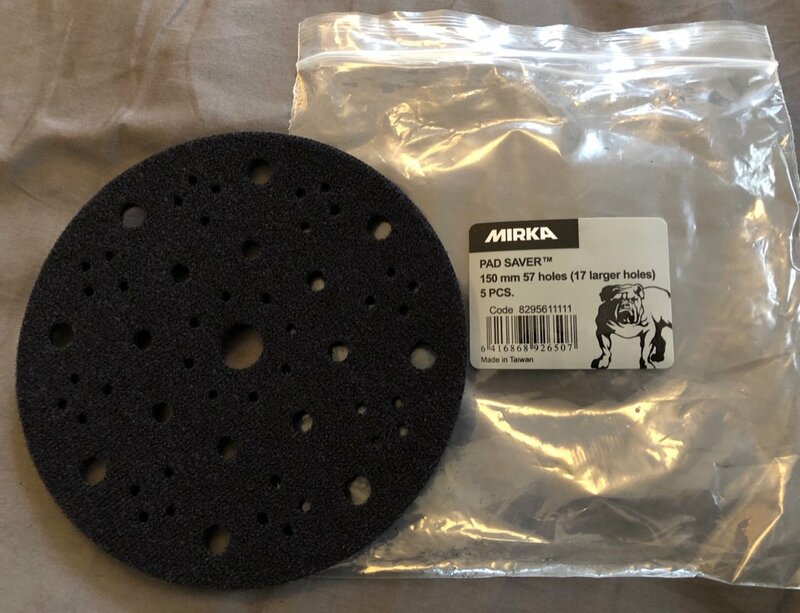 My local Festool dealer (Ultimate Tools), was recommending using Mirka Abranet ACE HD abrasives and the Mirka pad saver/interface pad. I would need to manually hole punch additional holes to fix the Festool holes. The Abranet ACE HD sounds like a good idea, since it doesn't clog as much. I probably don't need a full range of grits for the EC150/5, as I can use the Pro5 to finish the sanding. What do you think of using non-Festool sandpaper? A few FOG users seem to have gone this route as well. I can't see where you would go wrong with the same grit sequence you already purchased for your existing sander, just in the 150 size. P.S. I would also agree with @Vondawg regarding the stripping capability of the RO sanders, but unless you were to return the ETC EC150, and exchange it for the R0125 (and then use the same paper you already purchased), I would just stick with the same grits in the new size. I used Abranet ACE with my ETS EC without any problems. Mirca do an interface pad that lines up with the Festool hole pattern. I will look up the PN later for you. I only used 80 and 150 grit so far. Unless you have a large amount of siding to strip the ETS EC 150/5 will work just fine. Start with 40 grit and follow it with a quick pass with 80. It’ll take longer than RO sander at stripping, but from an overall perspective I’d much rather own an ETS EC 150/5 than an RO. I found that the Abranet ACE is „rougher“ than comparable granat. I would say that the 80 grit ACE would correspond to maybe a 60 grit Granat. Please find below the Pad Saver fitting the Festool hole pattern. If you really need to remove material, get some 24 or 40 Festool Saphir! 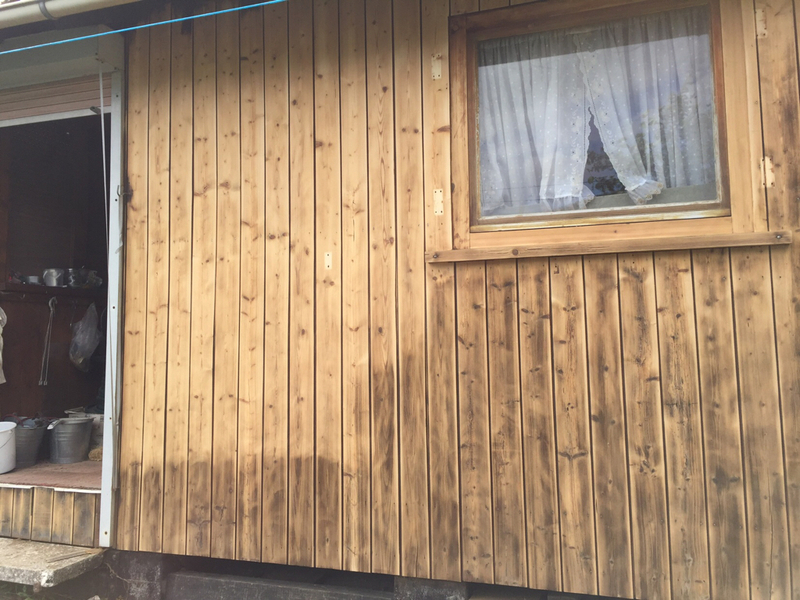 Here are some shots of the garden shed renovation I did. Went over it two times, first with Abranet ACE 80, followed by Abranet ACE 150. Good enough for a Garden shed. And quite quick as well with the ETS EC 150/5. Don’t forget to use the VAC! Otherwise it’s a huge mess! The ets 150/5 ec with the right grits and right type of paper can be used for stripping/removing finishes. I was pointed down this very path here on FOG and I ended up purchasing a ets 150/5 ec along with same Granat paper for my tasks instead of a Rotex at the time. You can use the 150/5 as a finishing sander too and many users here do instead of the 150/3 version although many do prefer the smaller stroke for finer finishing while others don't really notice a difference. Personally I've sanded up to 320/400 gr with mine and even used it between coats of stain etc. My 150/5 ec is probably my favourite Festool.